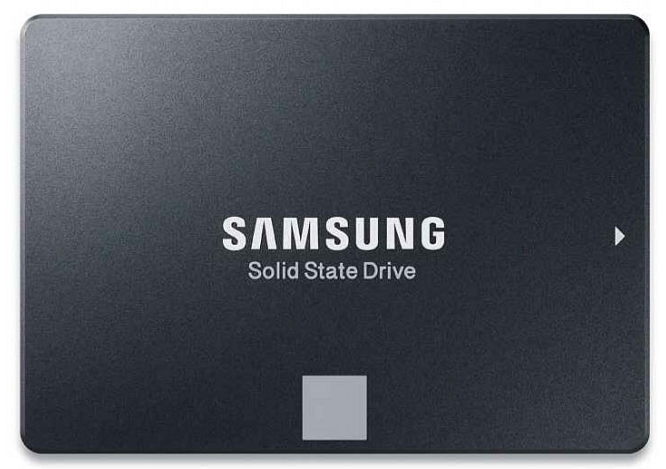 Samsung 850 EVO 500GB Review – For four years now, Samsung’s 850 Evo has reigned supreme as the go-to SSD for anyone seeking the ideal balance between performance and price. Thanks to Samsung being the first company to market with its cost-effective 3D NAND, it was able to keep the cost of its drives low. Meanwhile, the company’s nippy MGX and MEX controllers kept the drives ticking along quickly too. Not even when Crucial and Toshiba had started producing their own 3D NAND could any commercially available drive really challenge the 850 Evo. In fact, it’s only with the brand-new Crucial MX500 that Samsung has really faced a true fight. It’s just as well, then, that Samsung also has a brand- new drive of its own. The Samsung 860 Evo is Samsung’s long-awaited refresh of the 850 Evo. It’s still limited to the SATA interface but, like the 850 Evo, it’s available in M.2 and mSATA form factors too. The big upgrade is the move from 256Gb dies to 512Gb dies, although this move hasn’t enabled Samsung to increase the maximum capacity of these drives. The 850 Evo already had a 4TB version, and that’s again the most capacious version of the 860 Evo. The M.2 version tops out at 2TB, however. Another key change is the move to LPDDR4 DRAM, which uses less power than the LPDDR3 RAM used in the previous drives. With up to 4GB of this memory on each drive, the power saving could be significant too, especially for laptop makers. much about it, but one of its key challenges will be ensuring performance is up to snuff despite the move to larger-capacity dies. Normally, having fewer, larger-capacity dies makes it more challenging to keep up performance, as there’s less opportunity to distribute the workload, but clearly Samsung has found a way around this problem. We say clearly, as Samsung’s performance claims are healthy enough. Sequential speeds of 560MB/sec read and 520MB/sec write, and random speeds of 100K IOPS read and 90K IOPS write, are faster than any those of any other competing drive. What’s more, you get the same speeds for every capacity and form factor. Of course, as with all TLC- based SSDs, the sequential write performance is bolstered by the use of a cache of SLC NAND. If you fill up the drive, the cache runs out at around the 50GB mark, and performance then drops to 290MB/sec. Meanwhile, when it comes to longevity, Samsung provides a five-year warranty and the drives are rated to last between 150TB and 2,400TB, depending on capacity. The 500GB drive is rated to 300TB, which puts it at the higher end for a mainstream TLC drive. Firing up our benchmarks saw the 860 Evo deliver exactly what we expected, with it either topping the charts or missing out to only the Samsung 860 Pro in all our tests. Essentially, it’s as fast as a SATA SSD can get. All of which is well and good, but this drive is also comparatively expensive, so for many users, the tiny extra amount of performance over a drive such as the MX500 won’t justify the extra spend. 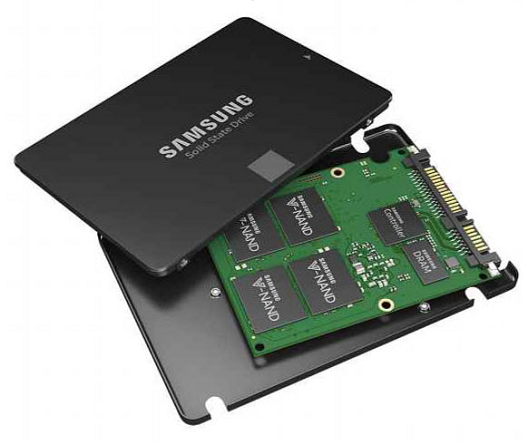 Samsung retains its crown as the maker of the best mainstream, TLC-based SATA SSD on the market. However, the competition is now greater than in the 850 Evo’s heyday, and for most people, the premium demanded by the 860 Evo simply won’t be worth it, as the SATA interface simply holds back performance too much. The best TLC-based SATA SSD available, but it can’t justify its high price premium. The best TLC-based SATA SSD available, but it can't justify its high price premium.